Abel Perez, of Venezuela, took top honors in the Liga youth tourney, held on OGS. The event is an annual tournament league for players under the age of 18 from all over Latin America. Liga started this year in April and concluded in November; 7 rounds were played each month. There were 24 players from Venezuela, México, Chile and Ecuador. Some games were reviewed by Ignacio Iglesis, a 2 dan go streamer for the Spanish speaking community, on his youtube channel Estudiando Go con Ini. The final matches in round 7 were very competitive as 4 countries had at least one player at the top boards, the winners were: 1st place- Abel Pérez, Venezuela; 2nd place: Leonardo Valdovinos, México; 3rd place: Benjamín Mimiza, Chile; 4th place: Joaquín Proaño, Ecuador; 5th place: Lilian Zavala, México. See full results here. 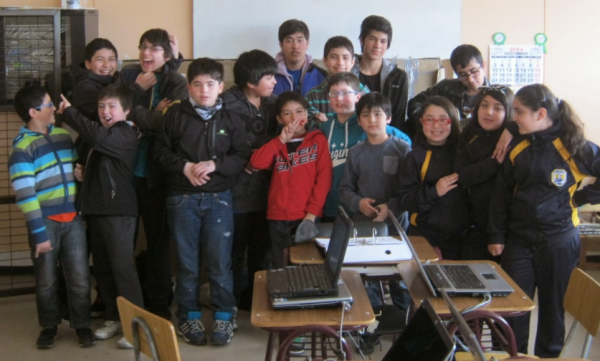 “All our players had a rich and fun experience making connections with opponents from the Latin American region,” says Siddhartha Avila, Mexican Go teacher at Dojo de Go. “Leonardo Valdovinos played the game for the top place, even though it was intense and he came in 2nd, he learned a lot from it. Another highlight was Lilian Zavala, as there are few female players we are proud to see that she continues getting to the top places in local and regional tournaments. These kinds of online tournaments for youth are relatively new for the countries in our region, but play a key role for the development of go. Our event joins the efforts of other Latin American tournaments, like the recent 1st Pandanet Go Latin American Team Championship which kicked off with 10 teams on November 20th, or the annual online tournament “Torneo Iberoamericano de Go por Internet” which was held for the 18th time this year, with a total of 92 registered players between almost all the countries affiliated with the Iberoamerican Go Federation . -Paul Barchilon, E-J Youth Editor, with Siddhartha Avila. Photo: Club members of Chile’s Club de Go Aonken, in the computer lab at Escuela Juan Williams.